To respond to the needs of San Diegans by creating innovative and cost-effective programs to empower and stabilize the lives of underserved families and individuals. Dreams for Change is a San Diego nonprofit serving homeless and low-income people. 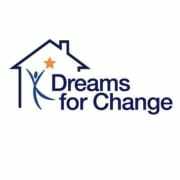 Dreams for Change offers innovative and cost-effective programs that empower and stabilize the lives of underserved families and individuals. To date, we have assisted more than 33,000 people through pioneering cost-effective interventions that fill gaps in services and stabilize the lives of homeless and other low-income people. Would you recommend DREAMS FOR CHANGE INC?